Online April 2018 – March 2019. Join at any point of the year! Laura and Erica of Birdsong- two sweet, silly and wicked nerdy doulas. In addition to our individual doula practices and collective offerings, we both have backgrounds in teaching, training, curriculum building, workshop facilitation, performance, improv and sacred space holding. On going education is such an essential aspect of the doula path. Whether you are covering your reading list for certification, are a seasoned doula looking to connect to community and be inspired, or you’re seeking to educate and support your personal or professional path with pregnancy, birth and holistic health related knowledge and dialogue… you and your magnificent mind are welcome in this space! We will endeavor to keep the reading list inclusive, covering essential core material and special interest topics- we are open to suggestions and will be bringing in authors and leaders from the birth community for increased juicy wisdom. The club officially launched in April 2018 and is hosted on an interactive video conferencing platform. Yearly membership also includes access to the Doula Book Club Online Community. Attendees can plan to be live and/or receive the recorded discussion and author Q&A after the fact. If you can’t make a call but have a question for the author you can send it to us before hand. We have people calling in from England, Australia, New Zealand, all across North America! We have a billion books we want to feature and dive into but in order to create a cohesive and balanced list we are taking a bit more time before we firm up the whole year. We have asks out to several authors (each month will have the author or an expert on that topic do a talk/Q&A in addition to our Book Club Discussion) and we are still jig saw-ing the right flow in concordance with author schedules. Body Full of Stars by Molly Caro May who belives Story can create a revolution. We couldn’t agree more! The Big Letdown by Kimberly Seals Allers who is on a mission: to question, challenge, disrupt and then reimagine how we talk about birth and breastfeeding and then breaking down the many structural barriers women face in these areas. 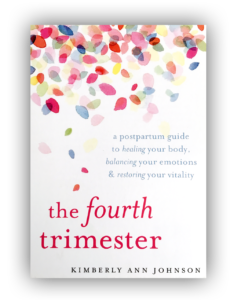 The Fourth Trimester by somatic bodyworker, doula, teacher and all around radical women’s advocate Kimberly Ann Johnson of MAGAMAMA. The Doula’s Guide to Empowering Your Birth by birth doula, mother of 7, our dear friend and Co-Founder of Carriage House Birth Lindsey Bliss. Nurture by doula, health educator, activist, Co-Founder and CEO of LOOM Erica Chidi Cohen. Don’t Leave Your Friends Behind edited by the incredible social justice feminist writers China Martens and Victoria Law. 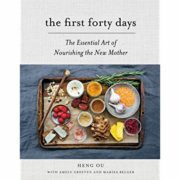 The First Forty Days (the book we bring to EVERY postpartum shift! And birth pre-natals!) by Heng Ou, Amely Greeven, and Marisa Belger. Brave New Mama by writer, Mama, TCM Healer and all around magical human Vicki Rivard. Do I have to be a doula to join? No! We believe that all people do doula work in their regular lives and that there are direct parallels to doula work in any profession that provides support rooted in non judgement. Can I drop in monthly and still be part of the Facebook Group? Unfortunately no. It is too labor intensive to continually add and delete people from an online group to keep drop in membership working beyond the Zoom call. If you are experiencing financial struggles and that is why you’re asking please email us. Is an author/expert always in the group? They will be invited either before the group discussion begins or at the end; The Doula Book Club space itself is always closed to solely the participants/members so we can discuss amongst ourselves freely. Where possible, we will loop the author, or an expert in that field of study to be featured either at the beginning or the end of the call, not in the discussion space itself. Is this an inclusive space? YES. We certainly intend for it to be. We have a code of ethics for both the discussion space and Facebook Group that expressly states a no-tolerance policy regarding discrimination, microaggressions, tone policing and the like and we will enforce those policies if need be. With that said, we are by no means claiming to have it all figured out and we certainly are open to dialogue, questions and further work to deepen our ability to create a truly safe space for all people. Can I submit a book to be on the reading list? Absolutely! We are always open to recommendations and suggestions. We are aiming to select a cross section of material. 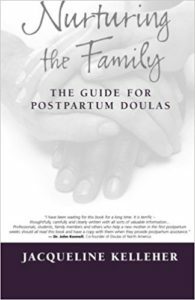 We want to cover essential doula reading, even if many in the group have read it already because the same book may land in a different way 5 years later- also lively discussion around a topic is a very different way to engage with reading than by yourself in your home. In addition to birthwork staples we want to bring in branches of study and service that are often skipped over in trainings due to logistic time constraints such as adoption, bereavement work, supporting trans birthing people, community outreach, and onwards. Why only one book per month? This is our starter year. In the future, if we have the volume to support it, we may choose whole topics or authors and do break out groups facilitated by graduates of our mentorship or apprenticeship programs. As our pilot project we feel it is key to make this a container we can manage between the two of us for now, as we figure out what works. Just as we honor the time and work of the authors we feature, we value our own time and energy- not only the time spent on the call itself but the organization, correspondences and maintenance of a program of this nature. It is quite literally our responsibility as mentors to model safe practices of work that allow us to keep showing up fully. Can’t I just take your reading list and organize this in my own community? Absolutely you can! Book clubs are traditionally non commercial gatherings of people in community. If you want to do that we won’t be offended. The sun shines for all of us. We highly recommend having a facilitator who is committed to holding the space in true non judgement. Many of these topics of study are highly charged which is why we take seriously the role of setting the tone and creating a truly safe container. We aren’t big fans of the word should- there is no reason you ‘should’ do it, but plenty of reasons this club could benefit your personal and professional growth trajectory. There is so much value in group work, in being seen and having a place to come to explore the layers and questions that often come up when we are integrating knowledge. We hope our signature style of humor and heart have you feeling deeply supported and cared for while having a touchstone for continuing education and inspiration. I am pregnant/in my first year postpartum- could I benefit from being in this book club? Maybe. But maybe think about it first. This book club is really geared towards those in service roles that intersect these topics and the space will be held in such a way that is more industry/service/business focused than that of a personal journey. Many of these topics will be quite activating and we recommend deeply considering that before signing up. It is more of a study group than support group. Scholarships are always available to marginalized folx- email us at erica (at) birdsongbrooklyn.com or laura (at) birdsongbrooklyn.com if you are in need.